In preparation for rebuilding the Jewish Temple in Jerusalem, the Levitical priests in Israel are now relearning the traditions and laws related to Temple worship, which were originally prescribed by Moses before they entered the Promised Land. However, since the destruction of the Second Temple in 70 AD the Jews have not practiced these traditions, because Israel had been scattered among the nations and there wasn’t any prospect of having a central place for worship within the Holy City. In recent months, however, full dress reenactments have taken place related to the original daily Tamid service, the water libation, the Passover offering, the Shavuot, the First Fruits, various other special Temple services, and all the rest of the Jewish annual feast day celebrations. 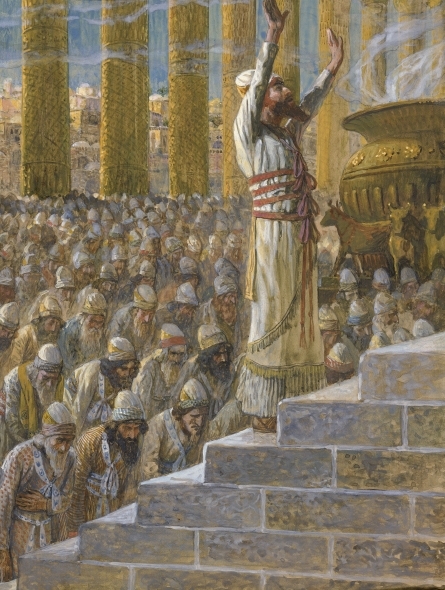 The Temple Institute has even set up training classes to carefully teach the priests (Kohanim) how to precisely perform each Temple worship activity. These traditions are being relearned after centuries of neglect and forgotten knowledge. The Kohanim are being prepared for the day that the new Tabernacle or Temple is dedicated on the Temple Mount in Jerusalem. By all estimates, that day appears to be coming quickly. According to prophecy, the Temple must be rebuilt to fulfill the predictions concerning the Antichrist’s desecration of it near the midpoint of the final seven years. In an ultimate act of defiance against the one true God, the Antichrist is predicted to stop the sacrifices and worship and then proclaim himself to be God in the Temple (see the Abomination of Desolation). Other Biblical prophecies also indicate that the Temple must be rebuilt to fulfill the predictions of the Lord’s Return, as He is predicted to descend in glory upon the Mount of Olives and suddenly come to his Temple through the East Gate (Ezekiel 43:1-4; Acts 1:9-11). Many Jews strongly believe that they will again have a place of worship in Jerusalem upon the Temple Mount, possibly as soon as within the next few years. The Levitical priests are preparing for that day, and for the first time in nearly 2,000 years they are training the Levites in how to carry out the worship of God according to the Laws of Moses. One of the recent reenactments of Temple worship was done over the summer and involved bringing the Omer Barley Offering or the offering of two special loaves of bread from the grain harvest to the Lord. This was in preparation for the Shavuot celebration. This celebration occurs on the sixth day of the Hebrew month of Sivan and is usually observed in mid-May to mid-June (it will be celebrated on the evening of May 30 through June 1 in 2017), which represents the anniversary of the date that God gave the Jews the Torah (the first 5 books of the Bible). Of course, Shavuot is also the anniversary of the day that God gave his Spirit to all believers in Christ as described in the New Testament, which is known as the Day of Pentecost in the Greek or Latin. 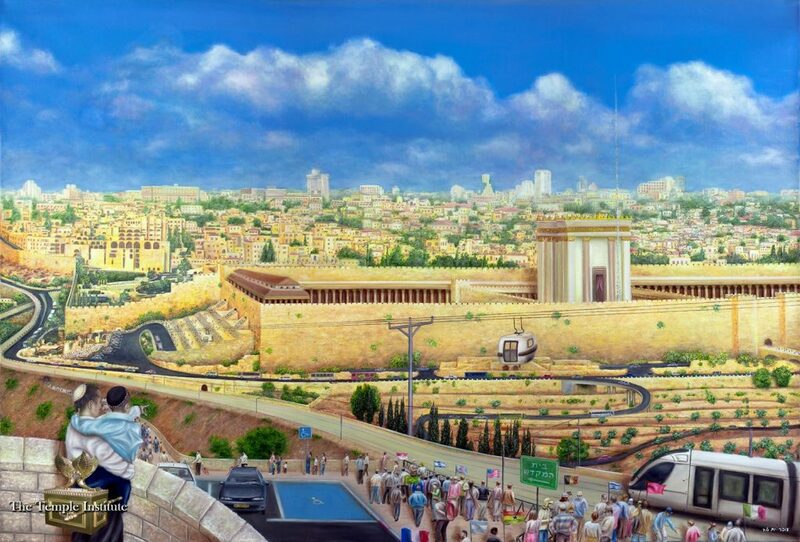 The rebuilding of the Temple in Jerusalem will be a significant prophetic fulfillment. It will put in place one of the key prophecies related to the final seven year period before the Second Coming occurs (see Daniel’s Seventieth Week). It will also signal that the final events of the End Times have truly come upon us. There can be no doubt; we are definitely getting closer to that day when we will see the Lord return in great power and glory!